Privacy is a major issue for anyone who uses a car or van for work purposes. Maybe a toolbox has been left in the back of the van, or some paerwork with personal data. But whatever is stored inside is for your eyes only, not the general public. Mr Tint's range of silver mirror films can give you the privacy you deserve without compromising your view of the road. Designed as a one way privacy film, these tints will prevent people from looking into the vehicle while still allowing you to see out for when you need to reverse. 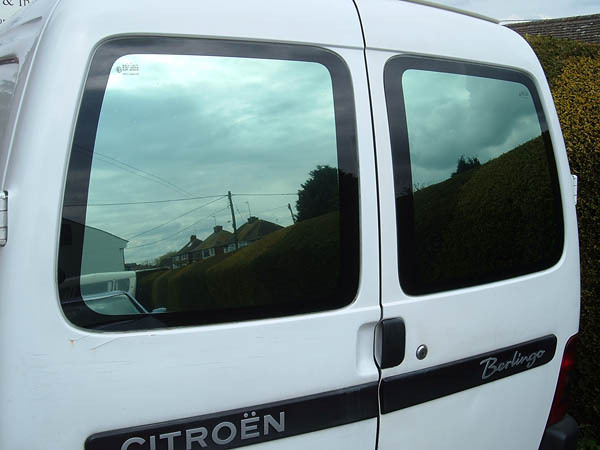 The installation of mirror tint to your vehicle windows is simple and effective and once fitted these films will last for around 10 years. It's installed in the same way that black window tints are and is completely removable should you require it. Our Glasgow tinting centre is open 7 days per week and our specialist staff are on hand to help you with any vehicle tinting enquiry that you may have. Contact us now if you're looking to have your car's lighting tinted or if you need more information on any of our products.